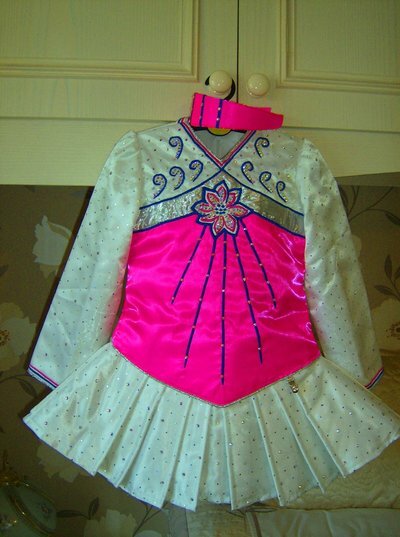 Brand new, current trend twinkle satin fluorescent pink and white dress. Bodice is fluorescent pink twinkle satin with white applique and royal blue embroidery. 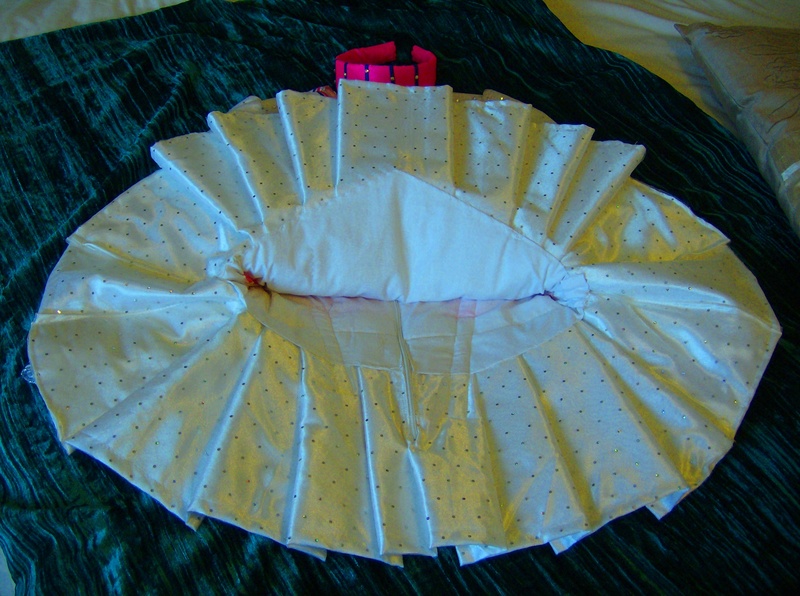 The sleeves are made from white satin overlaid with white glitterdot organza. The hems of neck and sleeves are finished off with pink and royal blue embroidery trimmed in silver. 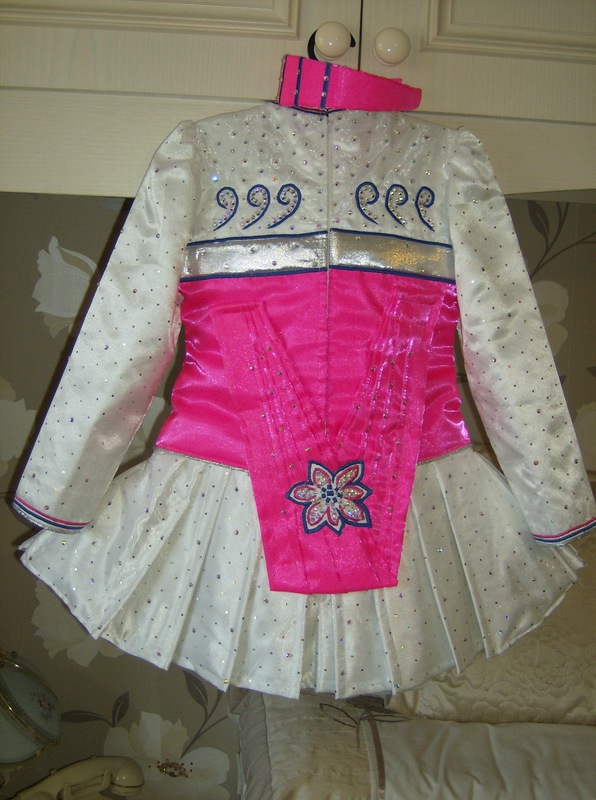 The cape is also fluorescent pink with white applique and blue embroidery. 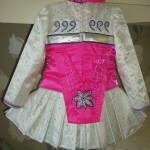 The skirt is stiffened but flexible, as you would expect an irish dance dress to be. The dress has over 400 swarovski crystals to give the dress extra sparkle on stage. The dress is fully lined and has a diamante number clip. The dress comes complete with matching headband (kickpants optional) from a pet and smoke free home. 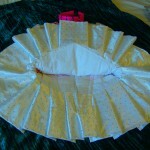 The dress has 1.5″ let down and 1″ from side seams and zip area. Asking Price: £150. Shipping costs are not included in the asking price. Sale is final.